Today we speak about the Italian Verbs MOODS and TENSES. You know what a TENSE is, it indicates WHEN the the action happens. The MOOD instead tells you HOW the speakers understands the action. It specifically indicates the ATTITUDE of the speaker toward what he or she is saying. If I say that “Marco è al Cinema” (Marco is at the theatre), I’m saying something real and I use the MOOD INDICATIVO (Marco è, he is). Instead if I say “Credo che Marco sia al Cinema (I believe that Marco is at the theatre), I am expressing a personal point of view on a fact – my belief – not something necessarily real. In this second case I use the MOOD CONGIUNTIVO (sia, he is). There are 7 MOODS in Italian, 4 are FINITE (Indicativo, Congiuntivo, Condizionale, Imperativo), 3 are INDEFINITE (Infinito, Gerundio e Participio). 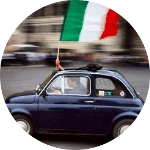 Why 4 ITALIAN MOODS are DEFINITE, and 3 ITALIAN MOODS are INDEFINITE? The INDEFINITE MODDS do not specify the person that acts the action. So you never find any person (Io, Tu, Lui, Lei, Noi, Voi, Loro) explicitly combining with them. This is an example: “Marco è arrivato a casa cantando sotto la pioggia” (Marco came home singing in the rain). “Cantando” is an invariable part of the speech that does not contain any explicit mention to the subject of the action. 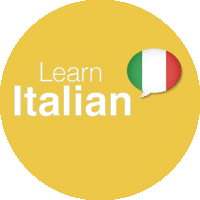 Watching at this video you will have a general overview about all the Italian Verbs System Moods and Tenses. Here below instead you find a schema of the Italian Verbs Moods and Tenses. present / presente => Leggi! past / passato => Avendo letto. 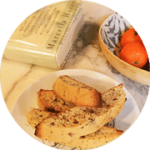 This post is part of a Full Italian Course for beginners available here: Italian Video Course for Beginners.